As winter approaches and convention season winds down, now is the time to start planning your cosplay lineup for next year! Whether this is your first or 100th cosplay, hopefully some of these tips can help you save some time and money. I highly recommend using the app Cosplanner to help stay focused and organized. It allows you to create a list of your in-progress projects and helps track progress throughout the build. Each individual listing allows for elements (a shopping list), tasks (with reminders), reference images, process pictures, and events. If set up properly, it gives you a percentage of your progress and allows you to set a budget and attempt to stick to it. After you’ve decided on a cosplay (or five), the first question to ask yourself is what type of material, or materials, you will be using to craft your creations. The most common form of cosplaying involves a needle, some thread, and a can-do attitude. In the realm of sewing supplies and fabric fusion, there are two stores that I frequent; S. R. Harris Fabric and JoAnn Fabrics. Both of these stores have “fabric” in their name, and for good reason. S. R. Harris has two locations in the Twin Cities: one in Brooklyn Park and one in Burnsville. The first time you visit, prepare to be completely overwhelmed with the quantity of materials. 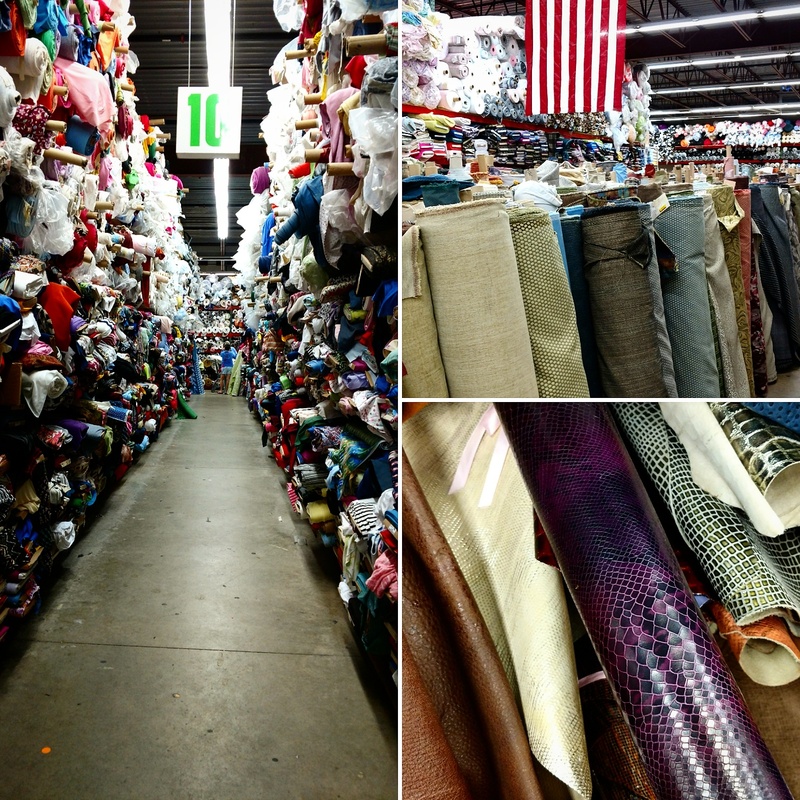 This magical fabric castle carries everything from cotton to leather to faux fur and everything in between. The store’s website also has coupons you can use digitally, to save on paper and time, and an email club that you can sign up for to receive additional coupons. JoAnn Fabric has numerous stores throughout the Twin Cities and wider Minnesota that carry a range of fabrics and craft-related supplies. The key to shopping at their stores is crafty couponing. There are several places to look for coupons, and the best feature is that they are stackable. The specific coupons are usually specified for either sale-priced or nonsale items and are only good over a certain range of time. The important thing to remember is that a coupon for a percentage off of a single item (such as 50 percent off of a single item) only applies to one yard of fabric. If you plan on buying multiple yards of fabric, wait until you have a coupon for a percentage off of the total purchase. The easiest way to manage JoAnn’s coupons is through their app. They occasionally have “flash sales” that the app will alert you to. Be sure to also sign up to receive their coupons in the mail, and check your receipt for even more coupons. Honorable mentions in the fabric category are Hobby Lobby and Michaels. They have apps with a weekly 40 percent off one item at regular price. Michaels also has a rewards program. Another option for clothing is Goodwill. Many cosplays can be created successfully by altering existing clothes instead of completely fabricating new ones. Goodwill has many locations throughout the Twin Cities and elsewhere in Minnesota. 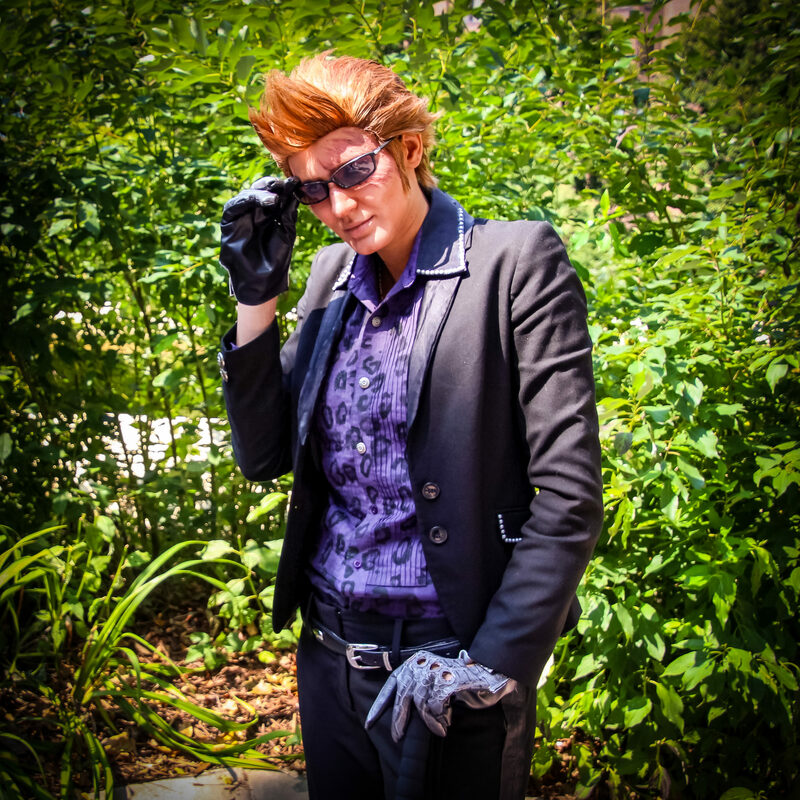 The cosplay above was made entirely from clothes purchased at Goodwill and altered to fit the specific character’s appearance. If you’re looking for tutorials or inspiration, check out Alyson Tabbitha and Mango Sirene on YouTube. If foam fabrication (foamsmithing) is more your forte, Harbor Freight offers the majority of the tools of the trade and the foam mats themselves. You can sign up to receive coupons in the mail or via email either in store or online. These coupons include free tools or accessories and usually come with a coupon for 20 percent off your entire purchase. Meanwhile, TNT Cosplay Supply is a cosplay supplier in Texas that offers high-quality EVA foam. Their foam comes in large pieces that are smooth on both sides and is available at very reasonable prices. I usually use the cheaper Harbor Freight foam to make templates and do my final pieces out of TNT’s. They offer free samples of their foam, showing off the quality and different thicknesses they offer. They also occasionally offer some of their product on clearance, due to defects or variation in size, at a 30-percent discount. If you’re interested in foamsmithing but don’t know where to start, check out Punished Props, Evil Ted Smith, and Kamui Cosplay on YouTube for great tutorials and project examples. Finding yourself stuck or in need of a random item? Be sure to check out Ax-Man Surplus. They have three Twin Cities locations in St. Paul, Fridley, and St. Louis Park, with a stock that is constantly changing. From assorted lengths of wire to military surplus, you never know what you might find. 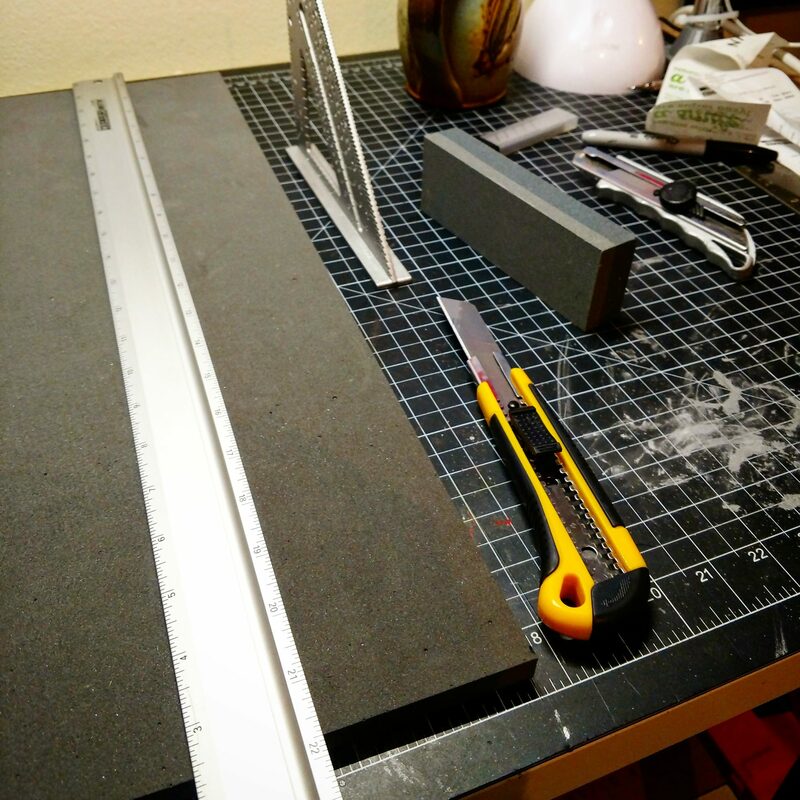 Architectural designer by day, cosplayer by night, Brian can often be found melting and sanding plastic into various forms that he calls props. He is an avid Twins fan, cosplayer, and maker who goes by the name Power Up Props.